The focus of Pokhara is the Valley of Pokhara and the Phewa Tal or Fewa/Phewa Lake. The glacial lake of Phewa is the second largest lake of Nepal and one of the main lakes of the Himalayan Lake system. 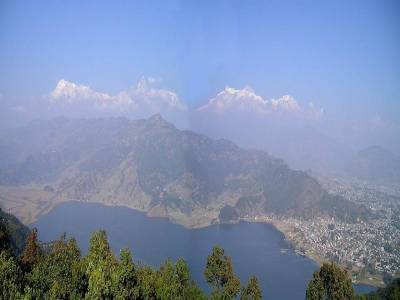 The altitude of Phewa Lake is not a very high comparing to other Himalayan lakes; still, the elevation is about 743 meters. The Lake is natural but has been modified to semi natural by setting up a dam on the streamline. The controlled flow and the reservoir system has facilitates a source of hydroelectric power system, that supplies power to this part of Nepal. 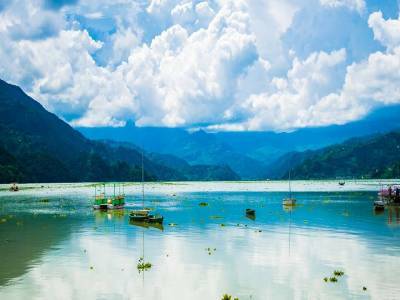 The main attraction of the Phewa Lake is in its sheer volume and spread over the Pokhara Valley. The crystal clear lake water is the perfect natural mirror for the natural scenic beauty during calm weather conditions. The Annapurna Himalayan range reflects fully on the lake with vivid pictures of peaks like Machhapuchhre, Dhaulagiri and Annapurna. 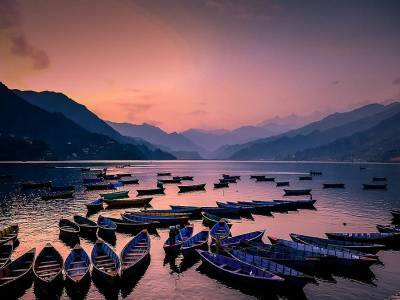 The main tourist attractions of Phewa Lake are the Tal Barahi Vishnu Temple on the lake island at the centre of the Phewa Taal, the bustling market place at the lake shore called Baidam that also housed hotels and restaurants. 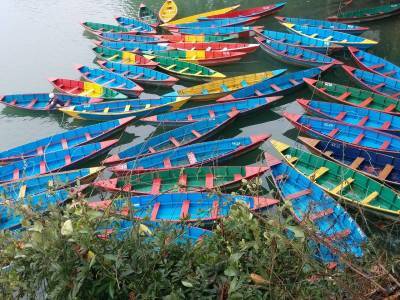 The visitors are also very much attracted to boating and water sporting activities in the lake and paragliding on the highlands of Sarankot. 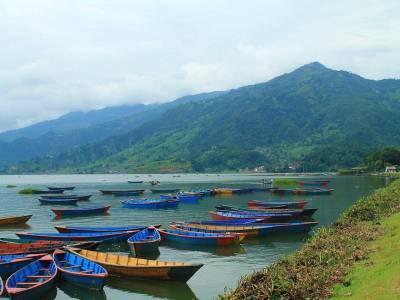 The fisheries and the dam are other favourite tourist places near the forest laden Phewa Lake of Pokhara. Get quick answers from travelers who visit to Phewa Lake.